Also known as the lever hitch, the marlinspike is a temporary knot that attaches a rod to a rope making a handle in the process. 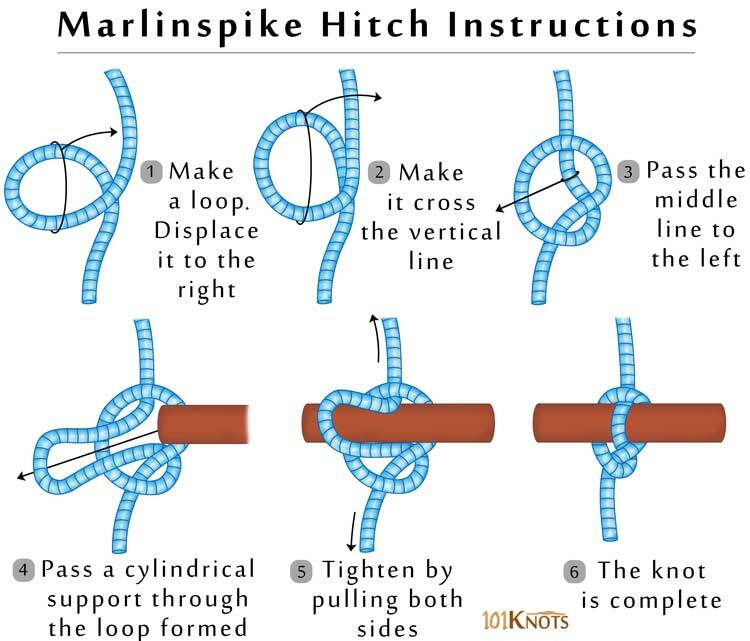 A small modification serves as an alternative way to tie the bowline knot. It provides an excellent way to make a rope ladder. It ties quickly and is easy to release. It does not jam. To accommodate a toggle for hammock suspension webbing. Can also be used with carabiners. You can adjust a whoopie sling on it. 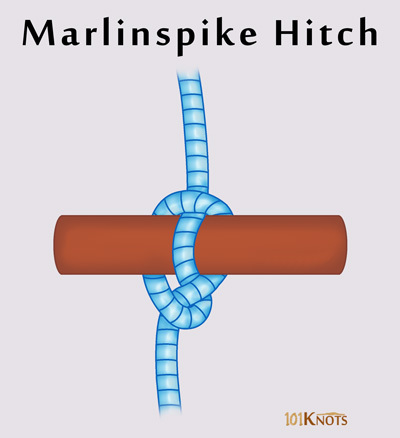 Watch this video for a lowdown on the tree strap-marlinspike-toggle-hammock connection.